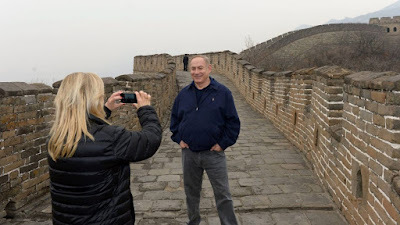 After Chinese officials recently expressed interest in increasing their involvement in the Middle East, Israeli and Palestinian delegations will arrive in Beijing this weekend at the initiative of the Chinese Foreign Ministry, which is funding the visit. The Chinese foreign minister, Wang Yi, and his deputy, Chen Xiaodong, will meet the delegations arriving in Beijing this Thursday. At the end of the meeting, the Chinese officials will hold a special press conference, where they will present the country’s positions on the issue of the conflict. MK Hilik Bar (Zionist Union) will lead the Israeli delegation, while Nabil Shaath, who is presidential adviser on international affairs, will head the Palestinian side. Former Palestinian minister Ahmed Majdalani, a member of the Palestine Liberation Organization’s (PLO’s) central committee and a close associate of Palestinian President Mahmoud Abbas will also participate, as will Geneva Peace Initiative representatives, including director general Gadi Baltiansky and Nimrod Goren, director of Mitvim – The Israeli Institute for Regional Foreign Policies.